When other 12-old year’s teens were playing boyish games Garry Kasparov became Champion of USSR under -18 and the champion of the world under-20 at 17 years old. Breaking the rules yeah? 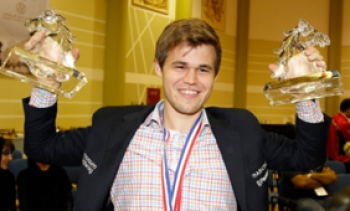 His international fame came when he was 22 years old and became the youngest world chess champion in Chess history, in 1985. Many people consider him the best player in the history. • His famous matches against the IBM supercomputer Deep Blue in 1996-97 were key to bringing artificial intelligence, and chess, into the mainstream. • Won the Chess Oscar, given to the best player in a year, a record 11 times. “My play is based on the most general laws of chess and the particular features of the position”. “In conclusion, if you want to unravel the multitude of secrets of chess then don't begrudge the time”. “My chess philosophy has largely been developed under the influence of Ex-World Champion Mikhail Moiseevich Botvinnik. I am sure that the five years I spent at Botvinnik's school (1973-1978) played a decisive role in my formation as a chess player and determined the path of my subsequent improvement”. 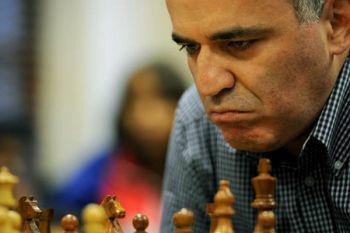 The 13th Chess Champion Garry Kasparov’s best games show his genius mind. So it's not for nothing that he is one of the best players in the history of chess.By watching his games, you will make sure yourself in it. Do you know the winners of the different Championships of 2018? Let’s check how well do you know the winners of recent tournaments? 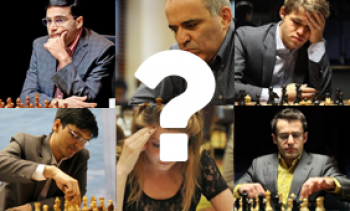 What can better fill the chess player's free time than the quiz about the world champions?